Topics: Early Years Award, Community Involvement Award, Innovation In The Arts Award, Fit For Life Award, Outstanding New Teacher, and Against All Odds Award. cneducationawards.co.u.. 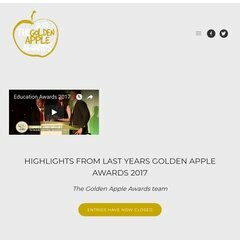 Welcome to the Golden Apples! Its 2 nameservers are ns0.serve.co.uk, and ns0.serve.net.uk. Heart Internet Ltd England is the location of the Apache/2 server. The programming language environment is PHP/5.2.17. PING www. (79.170.44.148) 56(84) bytes of data.